Personnality. 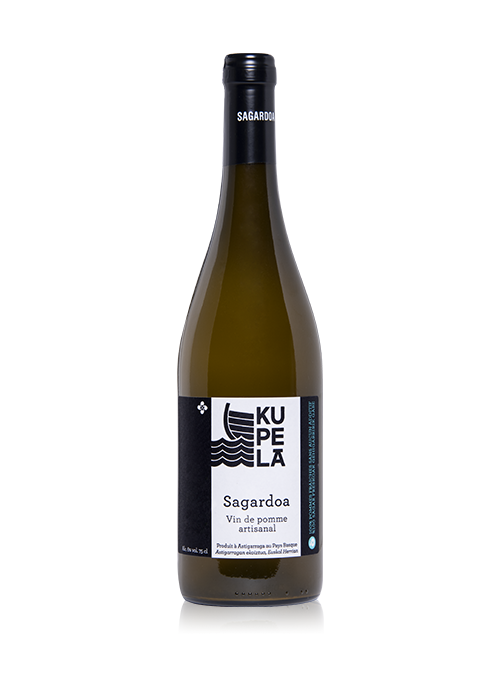 Sagardoa is the traditional Basque apple wine. On the palate, it affirms its character mixing intense flavors and slight acidity of the apple. 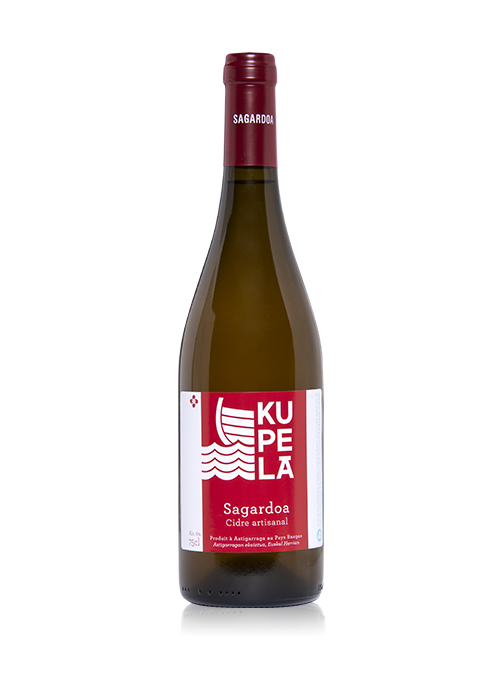 The sagardoa is not sparkling but it reserves a slight natural effervescence which accentuates the feeling of freshness. It is slightly sweet. Making. Made in Astigarraga with fresh apples from Basque Country. Tasting. From 9 to 11 °. Essential at a pintxo and tapas time. It is also served at the table with salty side dishes. 6% ABV. To consume in moderation. Personnality. 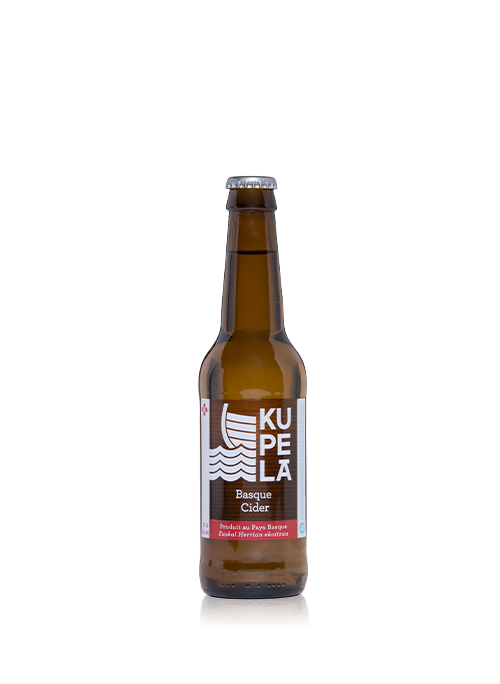 Very close to our traditional apple wine, this artisanal cider retains the typicality and flavors of fresh apples. Slightly rounder but not very sweet, it's a perfect introduction to Basque cider. Personnality. Bizia is a modernized version of the Basque cider, light but not very sweet, which allows a little effervescence, like its Norman cousins. A Basque cider that will seduce sweet cider lovers. Tasting. Artisanal product of Basque Country. Making. To taste very fresh, for aperitif or accompanying desserts. 4% ABV. To consume in moderation. Personnality. 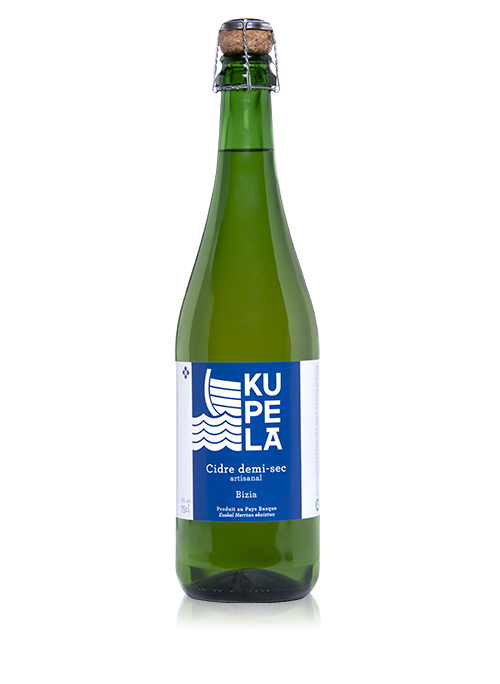 The Basque cider of Kupela is a nod to the Hard cider of the American micro-cideries. Not too sweet, it offers a 100% natural refreshing and acidulated sensation. Conditioned in a 33cl format, this is a real alternative to beer. Making. Artisanal product of Basque Country. Tasting. 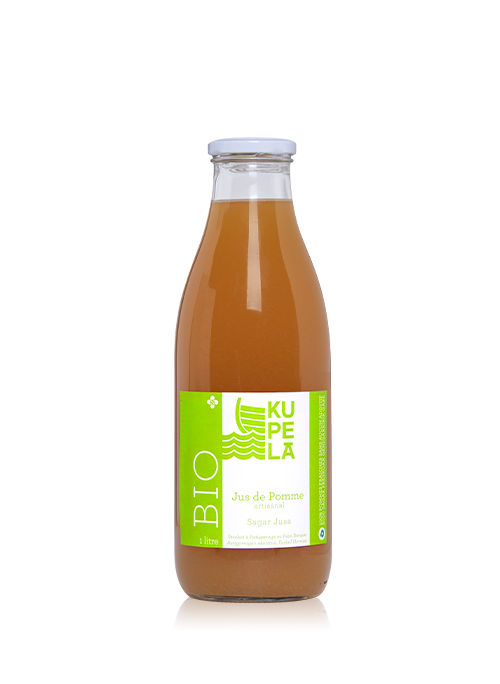 Enjoy while fresh, preferably on a beach of the Basque coast but otherwise it's okay. 4% ABV. To consume in moderation. Personnality. 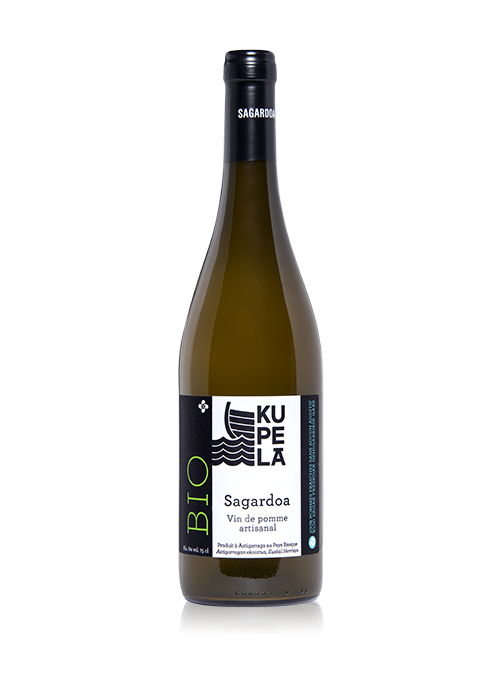 The Sagar Jusa transports you to the green valleys of the Basque Country. We pick up the apples at full maturity to offer the richest flavors and a 100% natural sugar. Making. 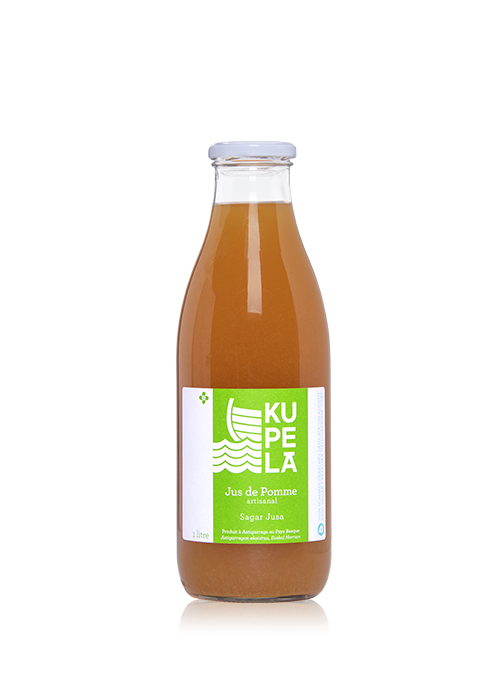 100% pure apple juice, with no added sugar or water. Apples cold pressed mechanically to preserve all the flavor of the fruit. Tasting. To drink fresh or at room temperature. For breakfast or for any time of the day. Tasting. To drink fresh or at room temperature. Easy to carry in its small glass bottle of 25cl.